Square Enix just announced in a livestream that three of the four upcoming pieces of downloadable content for Final Fantasy XV have been cancelled. The one remaining, Ardyn, will be out in 2019. Back in April, we were told there’d be four pieces of DLC coming for the 2016 game, with episodes called Ardyn, Aranea, Luna and Noctis. 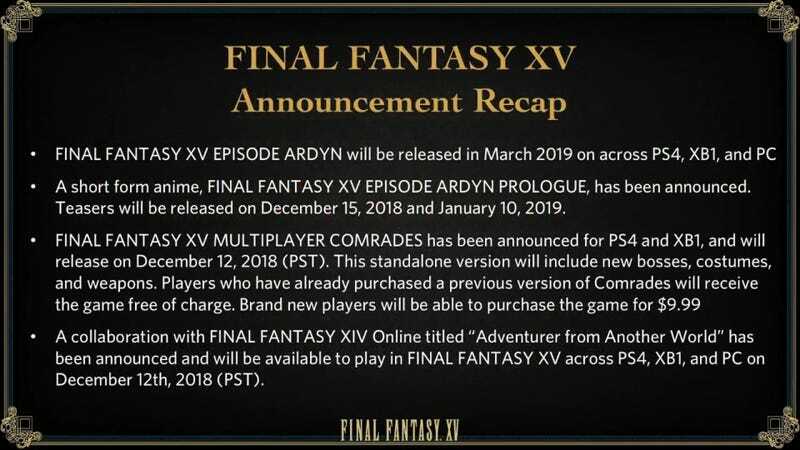 Only Ardyn remains now, and it’ll be out in March 2019.